The biblical realm of Cappadocia, southwest of Ankara in central Anatolia, is a wonderland of unique geographic formations sprinkled with green vineyards and fruit orchards. Agriculture thrives in the mineral-rich volcanic soil, making this one of Turkey's premier wine-making regions. 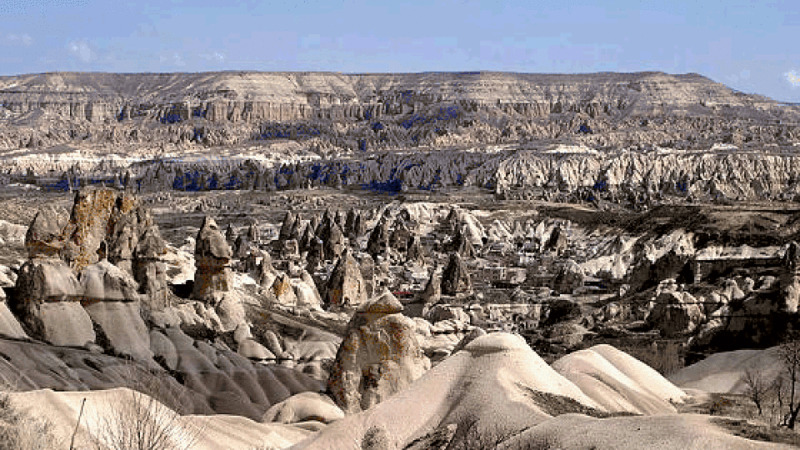 Often described as a "moonscape", the starkly dramatic terrain of Cappadocia impresses every visitor. Even more memorable are the frescoed churches and the labyrinth of underground cities carved from the soft volcanic stone. 2: Elect according to the foreknowledge of God the Father, through sanctification of the Spirit, unto obedience and sprinkling of the blood of Jesus Christ: Grace unto you, and peace, be multiplied. 5: Who are kept by the power of God through faith unto salvation ready to be revealed in the last time.